Pratt Industries has recently been featured as a Public Storage sustainability partner in their “In Your Space” blog. In the article, “Public Storage Cardboard Boxes are Green Not Brown,” Pratt is credited with supplying Public Storage 100% recycled corrugated boxes that are not only great for the environment but also of the highest quality. As a result of this program, Public Storage has saved over 68,000 trees in a single year. Learn more about the partnership between Public Storage and Pratt Industries and view pictures of the box making process here. 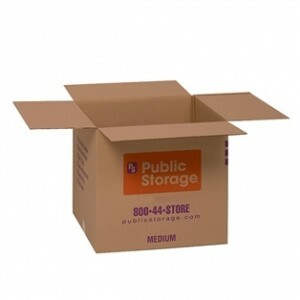 Public Storage built its first self-storage facility in 1972. Today it operates over 2,200 unique and diverse company-owned locations in the United States and Europe. Given its long and successful history, its presence in major markets, its customer focus and its leadership position in the self-storage industry, Public Storage is a respected and trusted operator of self-storage facilities. Pratt Industries is America’s 5th Largest Corrugated Packaging Company and the world’s largest, privately-held 100% recycled paper and packaging company, with more than 4000 highly-skilled, green-collar employees dedicated to the environment and sustainability. Pratt was founded in the USA some 25 years ago and, since then, has shown dramatic growth with sophisticated manufacturing facilities in more than 20 states.